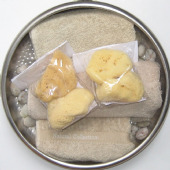 Natural sea sponge Tampons and Prolapse sponges can be used over and over again. 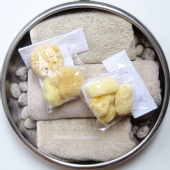 They need to be sanitised after each use - see our guidelines for how to keep your sponges clean. Sponges are properly cleaned of any foreign matter after they are harvested from the sea. *Please discuss with your health adviser if natural tampons/prolapse sponges would be suitable for you.